For more than 80 years, Helander Metal Spinning Co. has been providing companies with metal forming and fabricating services. Working on projects for the aerospace, automotive, medical, and agricultural industries, among others, our niche is forming cylindrically shaped parts — ranging from one to 72 inches in diameter — in all types of metals and production quantities. 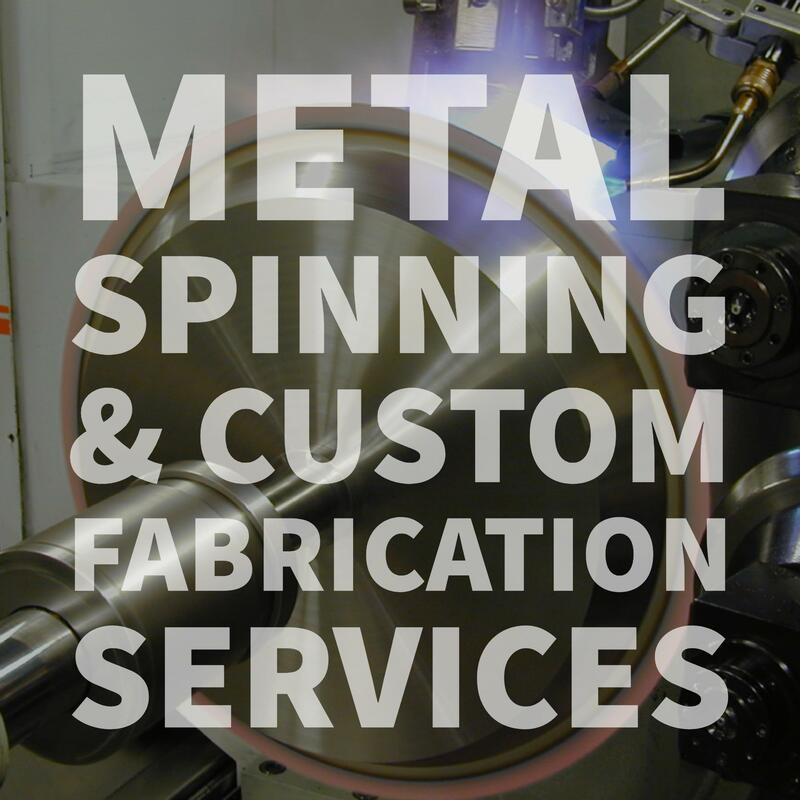 Our facility is equipped for projects involving CNC machining, metal spinning, and secondary services such as turning, drilling, milling, boring, threading, and tapping. The Helander machining facility is outfitted with two Computer Numerical Control (CNC) mills and six CNC lathes to support metal fabrication services. As these machines can operate 24/7, they allow us to maximize output, execute large quantity orders, and enhance uniformity across all produced components. We also offer in-house tooling. Metal spinning, also known as spin forming, is a process in which a metal tube or disc is rotated at a high speed and transformed into an axially symmetrical object. This is usually done using a vertical or horizontal lathe. This metal forming process offers a number of advantages, including the ability to seamlessly create objects by using a single piece of material and low-cost tooling. At Helander, we use advanced CNC, power assisted, and manual forming to create custom spun metal components. Our team spins parts up to 36 inches between centers with a material thickness of up to 0.25 of an inch for stainless steel, 0.375 of an inch for carbon steel, and 0.75 of an inch in aluminum; we create parts that measure up to 100 inches in diameter. Working with materials including copper, brass, stainless steel, carbon steel, aluminum, and titanium, Helander manufactures spun metal pieces with widely ranging diameters and depths. Custom metals are also available for various markets, such as commercial food equipment and aerospace. Within the coming months, we will be adding new machinery to our facility to further support our rapidly growing aerospace welding business focus. With the addition of this new equipment, we will be able to handle components up to 6 feet in size and offer new prototype services with hydroforming — which has become more common than metal stamping — along with metal spinning. Our team of aerospace welders is fully NADCAP (National Aerospace and Defense Contractors Accreditation Program) certified. With a full-service facility, a broad range of in-house capabilities, and a skilled team with years of experience working across industries, Helander is a dependable metal forming partner. We hold an unwavering commitment to quality and excellence in everything we do, from CNC machining and hydroforming to prototyping and polishing. Find more details regading our services and custom capabilities by downloading our free ebook.